I wonder if we can quantify how much storage we have in our minds, gigabytes? terabytes? exabytes: or some quantity not yet defined by man (or woman). Is it possible to run out of storage? Is there a way to figure out how to determine how much we have used, and how much we have left? And if we could do that, would we find out as we get older that the ratio between used and available gets smaller? This brings me to the part about the junk drawer in my head. Here is my theory. I believe we have a junk drawer in our head where we throw all the most recently accumulated memories. 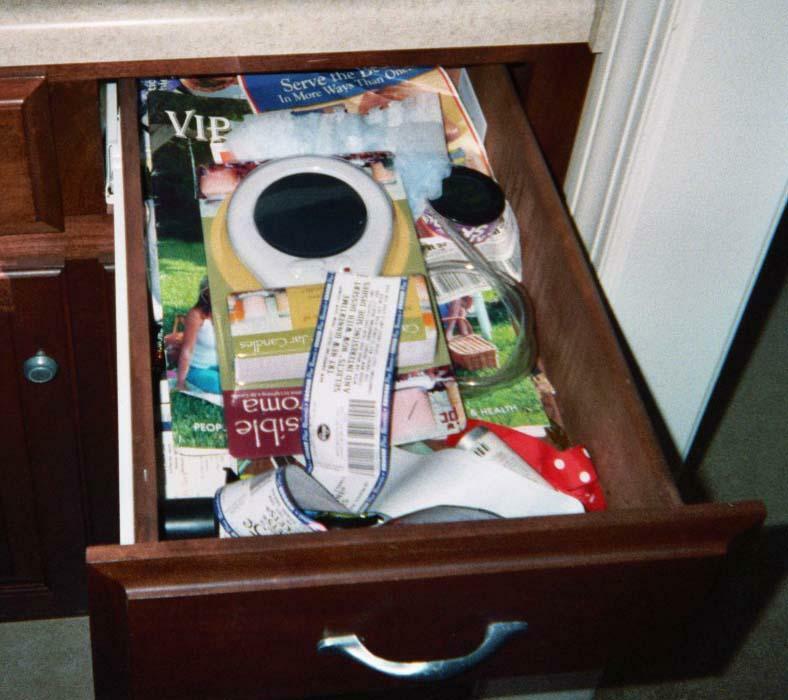 As you know, when ever anything is put into a junk drawer it automatically finds its way to the farest, most hidden recess of the drawer. At some point your mind indexes the information and files it according to what ever filing system we use but until that time it stays in the junk drawer. This explains why I know so many words to so may songs but I cannot remember the name of the person I was introduced to at the meeting yesterday. (Thank goodness for business cards) As I like to say, I can never remember a name, but I always forget a face. That is all I have to say about this. I might go take a nap and clean out my junk drawer. “Here I sit, broken hearted. . . .
Never mind, I won’t go there.